Has it really come to this? 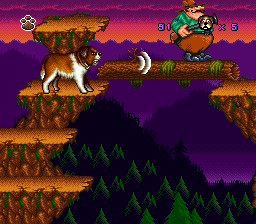 Let it be known for the record that this site never jumped the shark; it soared high over one very large St. Bernard. 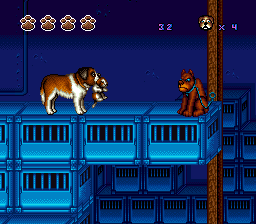 Based on the PG-rated sequel starring Charles Grodin and Step By Step‘s Mark Foster, Beethoven’s 2nd interests me in only one respect: Arizona-based RSP, the team behind the cancelled Steven Seagal is The Final Option, developed the Super Nintendo tie-in. 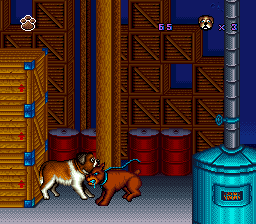 It’s no wonder why Seagal handled like a hound in his game. John Hughes penned the first Beethoven during his “Edmond Dantès” ghostwriting days, the era when the comedic genius behind such revered cinematic classics as The Breakfast Club and Planes, Trains, and Automobiles decided that the world ached for a Flubber remake and Maid in Manhattan. 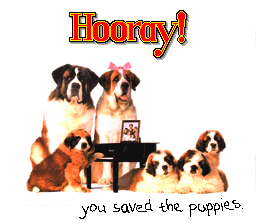 Beethoven’s 2nd, the inevitable continuation of the pooch saga after the first one sold 3 million cassette tapes, introduces us to Missy, Beethoven’s sweetheart, and their four adorable newborn pups. Murderous dognappers soon try to break up the couple’s happy home in the basement, but–spoiler alert–Beethoven somehow pulls through and prevails in the end. Ode to joy! Honest to dog, they followed that up with four more films: Beethoven’s 3rd, Beethoven’s 4th, Beethoven’s 5th, and Beethoven’s Big Break a.k.a. Beethoven’s 6th. On the front of one of these video covers, Beethoven’s dead eyes simply stare down a hole where he’s hoarded stacks of buried cash. 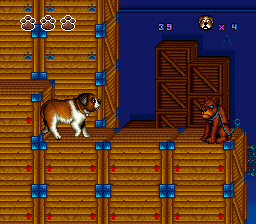 I demand to see that dog’s tax returns from 1992 to 2008. 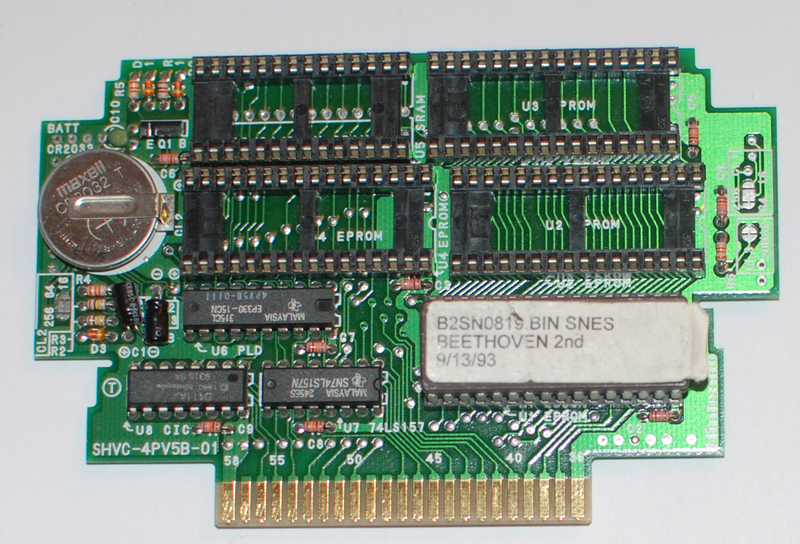 Speaking of stacks of buried cash, this Beethoven’s 2nd Super Nintendo prototype comes from the massive collection of Jason Wilson, a former senior editor of Tips & Tricks magazine, who sold the game to an English eBay reseller named Adam Kitterhing. Kitterhing then placed the beta in an online auction and accepted my best offer, as it most likely would have been his first and last. 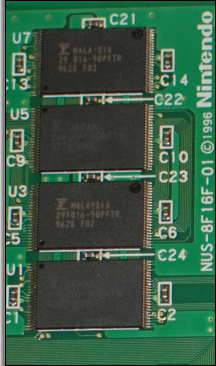 Much like Beethoven’s canine soul, the circuit board is largely empty, save for one EPROM chip that contains a dried-up sticker with the following information: “B2SN0819.BIN SNES BEETHOVEN 2nd 9/13/93.” That build date puts this prototype three months before the North American retail release in December (link). 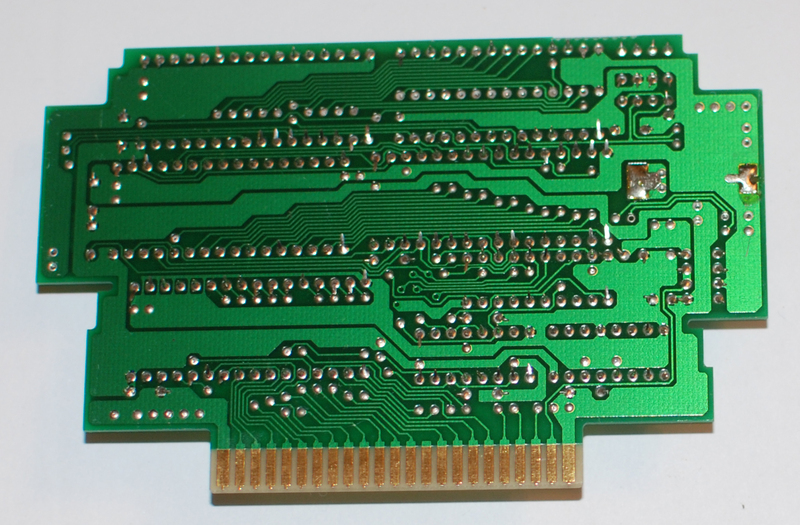 No doubt a leftover from another RSP-developed title, Tom and Jerry for the Super Nintendo, Hi Tech Expressions released that cat and mouse game in April 1993 (link). Mr. Gorbachev, give me your paw! Mikhail Gorbachev couldn’t have been in the Beethoven movies. I would’ve remembered Beethoven wildly licking the tasty-looking spots on his head. 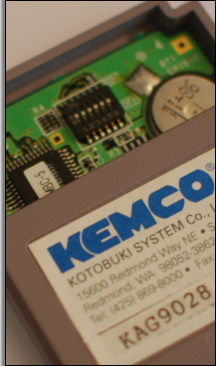 The PromICE Universal Firmware Development Tool by Grammar Engine Inc. attached itself to a cartridge in the Super Nintendo system and allowed developers to quickly emulate the ROM code from computer to console for debugging and testing purposes. 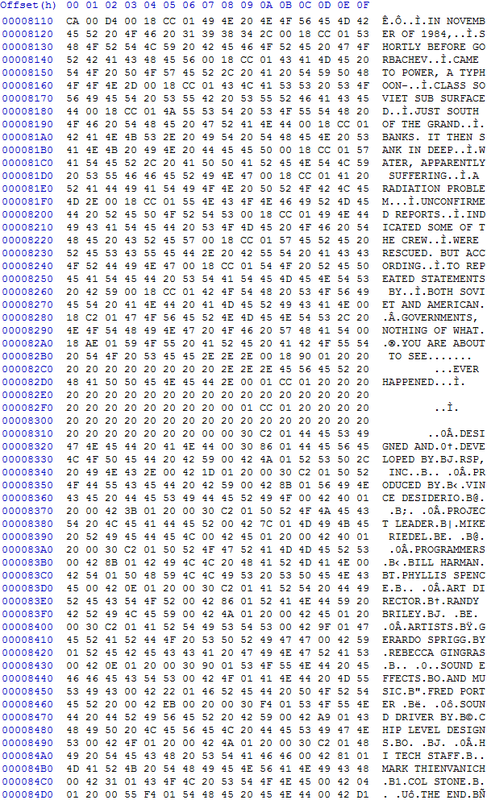 These lines would have been removed from the final code. 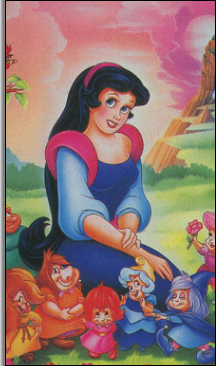 Don’t let the kiddie license fool you; Beethoven’s 2nd is no walk in the park. The flea bag controls with as much grace as the real-life hulking mass of fur, and his main means of fighting off cats, other curs, squirrels, birds, mountain lions, bats, skateboarders, and dogcatchers is to button-mash sound-wave barks in the hopes that these charging foes go deaf and haul tail before they can reach him. 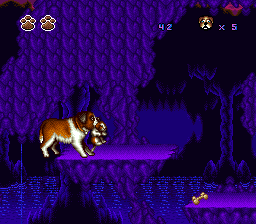 Occasionally, Beethoven will come across a source of water, like a sprinkler or a fountain, which will enable him to shake water droplets that’ll send all of the baddies on the screen running from the wet dog smell. He dries fast, though, so the move can only be used once. If Beethoven can make his way past the other environmental doggy dangers (fence posts, barbecue grills, and falling apples), he’ll reach one of the puppies that need saving. The end? Now that’s what I call a hot dog! 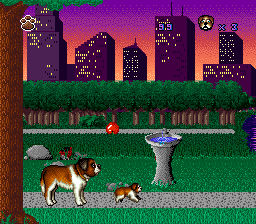 Beethoven and Missy had a relatively small litter, so the game lasts for only four levels: Suburbia, The Park, The Kennel, and The Wilderness. God Almighty, I’m actually going to do a full comparison, aren’t I? 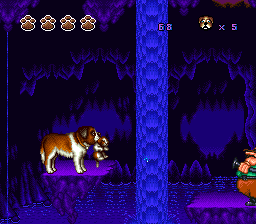 Scene Two of The Park doesn’t give Beethoven any time to react to the falling apple at the very beginning; the game makes him stay still in the prototype as he gets hit in the head. The retail version is not as sadistic, as it pushes the apple far enough to miss the poor thing. 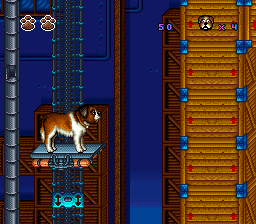 After jumping off the first elevator in Scene One of The Kennel, Beethoven has only one box to land on in the prototype instead of two. 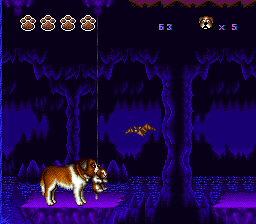 This change moves the chained Doberman forward, making Beethoven’s reaction time much shorter in the retail version. 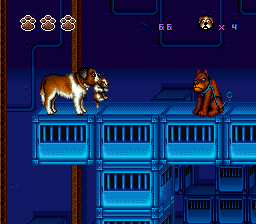 The prototype makes up for that loss in difficulty by adding an extra patrolling dogcatcher here. The prototype also pushes this chained Doberman closer. 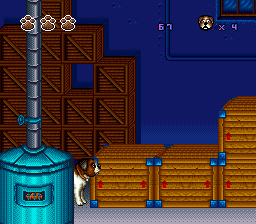 The second elevator can sometimes completely disappear in the prototype. Beethoven will have to go back a little ways and reemerge to trigger its return. Again, the prototype moves this chained Doberman slightly closer. 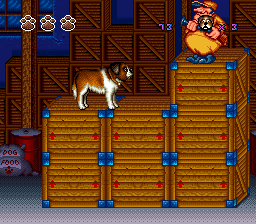 Travel on the orange moving platforms over to the right, and Beethoven will wind up on two boxes. A chained Doberman will welcome him on the second box in the prototype. 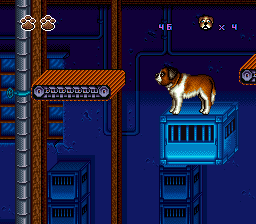 Go up the first elevator in Scene Two of The Kennel, and then move to the left across the orange moving platforms. 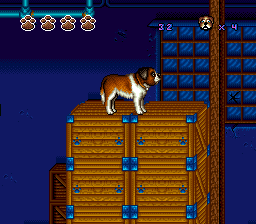 To get to the steak pick-up in the prototype, Beethoven will have to jump on top of an unstable blue crate that will fall down if he doesn’t move fast enough. The retail version replaces this crate with another orange moving platform. 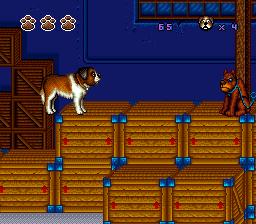 From the first elevator, jump to the right, and the chained Doberman will wait above the fourth crate in the prototype instead of the third. Once again, the prototype pushes another chained Doberman more to the left. The first wooden bridge in Scene One of The Wilderness is longer in the prototype. A mountain lion sits scowling by the campfire here in Scene Two of The Wilderness in the prototype. In the cave area of Scene Two of The Wilderness, a park ranger does not patrol here in the prototype. 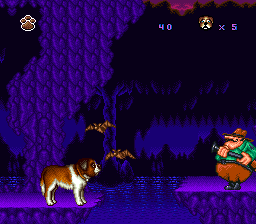 The prototype places this park ranger deeper in the cave, by a flying bat. 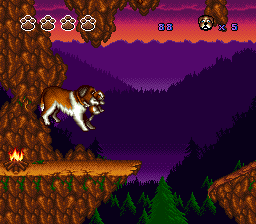 A mountain lion guards a drumstick pick-up in the prototype, whereas the retail version’s bone is left unattended. Only one bat accompanies the park ranger at this point in the prototype. I could already tell that RSP was in a big hurray to finish this game, so the prototype’s ending screen makes perfect sense.